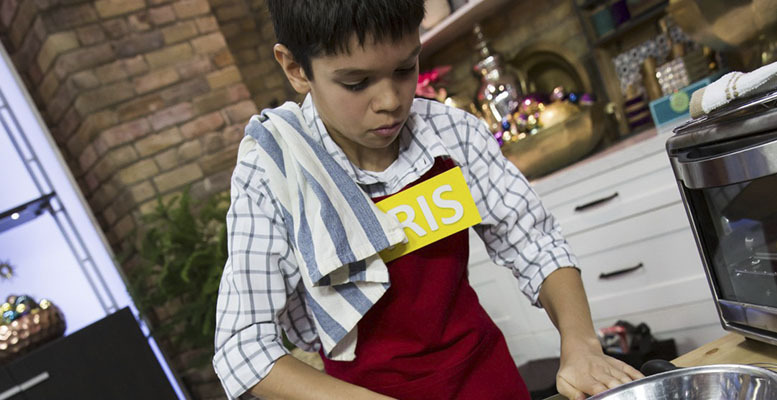 Here are three of Little Chef Chris’s top tips he’s learned along his journey from entering to winning last year’s Little Chef Contest. Select a recipe that you feel is within your skill level so you can wow the judges in person instead of fumbling with a difficult new technique. To add a bit of flair to a simple recipe, try exotic spices or unusual ingredient pairings. Practice several times before filming the real video entry. This way you’ll be comfortable both talking to the camera and running through your recipe. You may be nervous, and that’s normal but say in your own words what you’re cooking and why you like it. Have some talking points written up on a large paper, just off screen (beside the camera) in case you need them. Cooking is supposed to be fun, not stressful. Show your true personality, be confident in your abilities and have an excellent attitude – even if you make a mistake! Sometimes the tastiest dishes were created by accident. To enter this year casting call, please visit Marilyn.ca and submit a video of your little chef cooking an original recipe that includes small potatoes. The contest is open to all Canadian children aged 8-13.